The PET SEMATARY Teaser Trailer Is Here To Chill Your Bones | Birth.Movies.Death. Plus, a first-hand glimpse behind the scenes of the film. It may just be marketed as a teaser trailer, but that’s a lot. We get introduced to all our main characters (there aren’t many, after all), finally find out what John Lithgow sounds like in the film accent-wise, and get a good idea of the film’s tone and feel. I was lucky enough to visit the set earlier this year, and there was a strong sense of respect for both the source material and the 1989 adaptation. 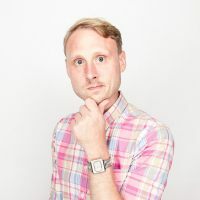 But Pet Sematary’s story is relatively simple - a slow moving tragedy geared to an inevitable conclusion - not offering a ton of opportunities for diversion. As you can see above, Kölsch and Widmyer have in the very least found a way to visually separate this from the 1989 film. A big part of that is the inclusion of John Lithgow as Jud Crandall, a part made iconic by Fred Gwynne. Even on the page, one of Jud’s primary traits is his thick New England accent, a feature Lithgow decided to drop in this version. An “old friend” of Gwynne’s, Lithgow joined the film having never read the book or seen the 1989 film, and decided to keep things that way. He opted not to use the accent for fear of distracting audiences: “I could have had a dialect coach and I could have worked mighty hard on this accent but it would have immediately taken you out of the story and I thought it was so important for people never to be taken out of the story, not for a second, so we just discarded it.” Instead, Lithgow plays Jud (who appears to be a widower from the beginning of this version) as a caring, but soft-spoken and sad old timer. He still drinks his beer and smokes his cigarettes (hand-rolled by Lithgow himself) though. The trailer also gives us a look at the Pet Sematary itself, an impressive practical set that we got to visit deep in the Canadian woods (which featured its own kind of horror in the form of swarming mosquitos). While we didn’t get to travel beyond the book’s infamous Deadfall, we did get to see the thick and tangled pile of sticks actor Jason Clarke will ascend more than once in the film. It, combined with the spiral of makeshift pet graves, was one of the more impressive things I’ve ever seen on a movie set. The minute details, including headstones taken directly from the book, likely won’t make it to the screen, but seeing them in real life was really something. With all the scary masked children, the angry dirtiness of the resurrected Church and a brief shot of the super gory Victor Pascow (I added a screenshot below), it seems clear that Widmyer and Kölsch are not messing around when it comes to the film’s horror elements. I’ll have more to say about that when I run my full set report at a later date. 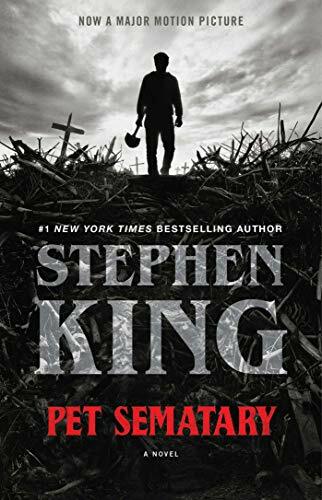 But for now, just know that this version of Pet Sematary is in good hands, both for fans of the original novel and general genre fans alike. We're all in for a horrific treat this April.